"We make your loved ones feel at home"
We know no loving care can be better than that from home but we appreciate that there are circumstances where your loved ones may need the extra care required from a retirement/nursing home. With that in mind we assure you that your loved ones will feel very at home at Bellevue as our ambience and friendly staff will ensure that. Hence our motto "We make your loved ones feel at home". 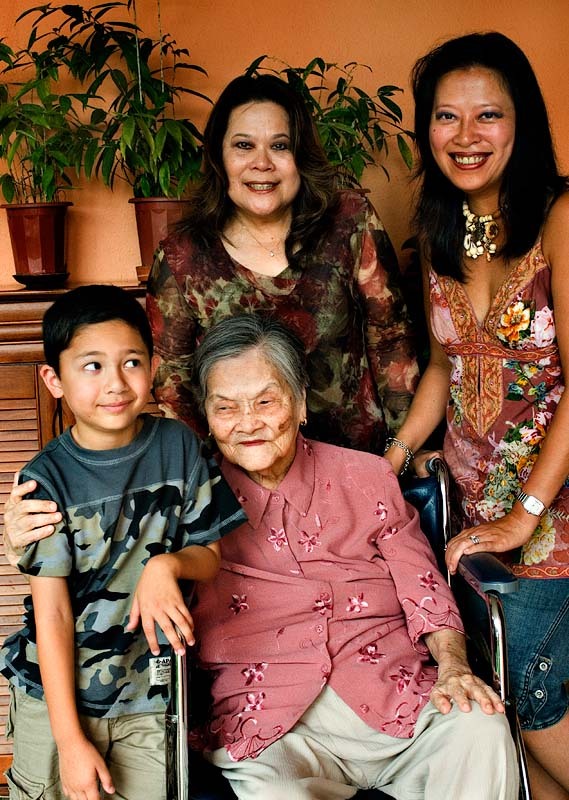 Portrait of four generations at Madam Wee's 90th birthday (2007). We organised a buffet lunch for family guests and friends who came from all corners of the world to celebrate this auspicious occasion. 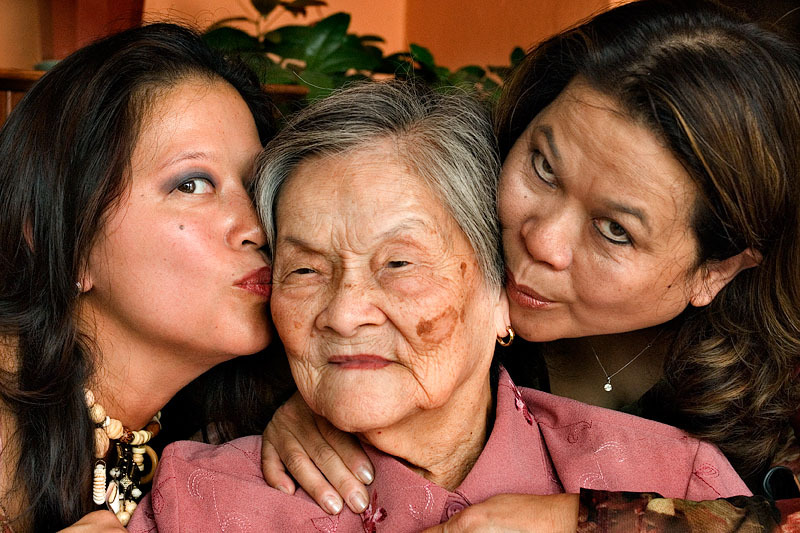 Kisses from grand-daughter and daughter – a mark of family love imprinted for eternity.